Do you have radio programs, music, or classic recordings on vinyl records or LP's? These recordings are priceless and should be preserved in a format that is stable and useable. 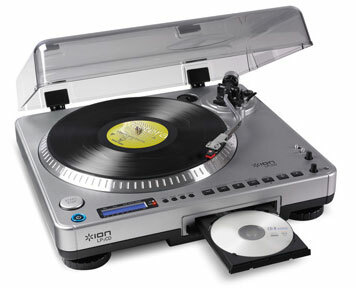 We can transfer & convert all of your LP's records to CD or DVD-R without the hassle. After the quality restoration your CDs or MP3 files will be like new and better than the originals! With each vinyl to CD transfer you receive a protective jewelcase and full-color label printed directly to your DVD or CD. All transfers work is done in-house, with respect for your source material. Have a tight deadline, discuss it with us, rush orders are an option! We get your vinyl record transfers done right, done fast, and back to you! Dont Let Time Ruin Your Records Transfer your Vinyl to CD! FREE no obligation quote, CALL NOW! We use Taiyo Yuden DVD+R/CD-R when we transfer vinyl to CD, these disks are the best on the market.